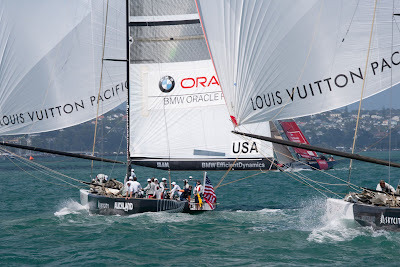 AUCKLAND, NZ – The biggest upset in the Louis Vuitton Pacific Series came today on Auckland Harbour as South Africa’s Team Shosholoza slam-dunked the reigning America’s Cup winners Alinghi, from Switzerland. Without a win after three days of racing, the South Africans skippered by Italian match racer Paolo Cian came out with all guns blazing against the Swiss boat helmed by two-time cup winner Ed Baird. Cian used the favored starboard tack entry to the starting box to engage Baird in a prolonged dialup above the starting line that stretched out over more than three drawn-out minutes. It was a virtuoso performance. The American had the option of tacking away but opted to hold his boat motionless, head to wind in anticipation of an error by his opponent. Cian never blinked and stayed in control until he peeled off to return in a perfectly-timed big sweeping turn below the line to start at speed. Baird was forced to follow nearly three boat lengths astern in his wake. “It was the classic start that you want to keep in your mind for a long while,” said Cian. “We had the starboard tack advantage. At two minutes they had just one escape for them to roll on top of us and try to extend to the right. They chose to keep it slow.” Cian added that the tide was pushing both boats towards the committee boat and his crew did a great job of executing the turn back to the line. From there, things went from bad to worse. 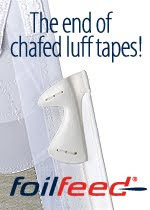 Alinghi lost time on every leg, especially the bottom of the first spinnaker run where a light patch of breeze and a wind shift cost valuable meters and left Baird’s foredeck crew scrambling to muzzle their spinnaker after rounding the mark. Alinghi was over a kilometre astern and 3m49s away when the South Africans finished. Conditions were perfect for racing, with bright sunshine, a puffy, shifty and warm north-easterly wind at 14-16 knots, and flat water in the Rangitoto Channel. 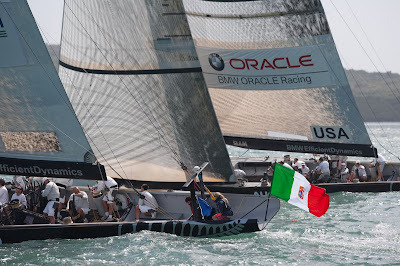 In the other races, BMW Oracle Racing defeated Damiani Italia by 52 seconds in a race that was close for the first three legs. The French boat Pataugas K-Challenge put up a good fight and engaged Emirates Team New Zealand for the first weather leg of their race but the Kiwis won by 1m38s. Greek offshore sailor Theodoros Tsoulfas took the helm of the Greek Challenge today to race Britain’s TEAMORIGIN and kept the margin close for two legs before the British pulled away to win by 58s. At the end of the first round robin, the scores are: Pool A – Emirates Team New Zealand, 4; BMW Oracle Racing, 3; Damiani Italia Challenge, 2; Pataugas K Challenge, 1; China Team, 0. Pool B – TEAMORIGIN, 4; Alinghi, 2; Luna Rossa, 2; Team Shosholoza, 1; Greek Challenge, 0. After a lay day tomorrow, racing starts again on Thursday in the second round robin. In the Gold Fleet, Alinghi in NZL 84 will race TEAMORIGIN in NZL 92, Damiani Italia Challenge in NZL 84 will race Emirates Team New Zealand in NZL 92 and BMW Oracle Racing in NZL 92 will race Luna Rossa in NZL 84. In the Silver Fleet, Pataugas K-Challenge in USA 87 will race Greek Challenge in USA 98, while Team Shosholoza in USA 87 will race China Team in USA 98. 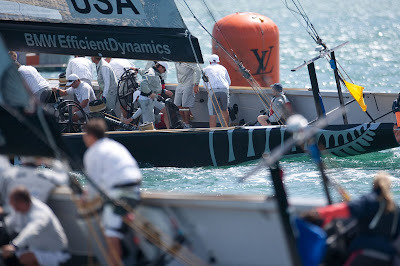 The event web site http://www.louisvuitton-pacificseries.com went live this week in English French and Italian. Race reports, press reports, features and photographs are being updated daily. 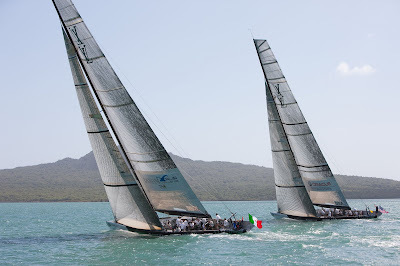 The site includes a link to live streaming radio commentary about the racing originating from Auckland’s radio BSport Sailing 103FM.